As your trusted regulatory compliance partner, Legisym understands the importance of feeling confident that in the event of an inspection, you can quickly produce auditing reports and documentation to support your policies and procedures. With our service and solutions, our clients can be confident we are committed to both the highest level of compliance and service. During the development phase of Express222™, our team spent countless hours architecting the system to ensure it was built to be fully compliant with Code of Federal Regulations (CFR) 21 parts 1305 and 1311. It is in this section of the CFR that the controlled substance ordering systems regulations are specifically mandated. 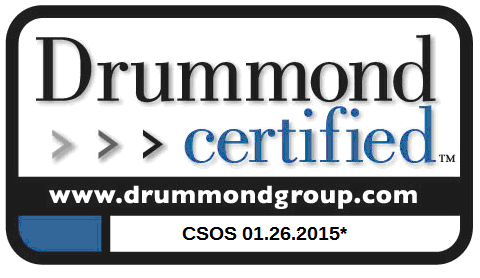 To meet the audit requirements, Legisym contracted with the Drummond Group to certify the Express222™ CSOS application. Since receiving our initial Drummond Group certification in 2009, Express222™ has been audited, at our request and expense, three more times as we continued to roll out enhancements. While these audits are time consuming and expensive, Legisym is committed to providing our clients with the highest level of compliance and service. DEA signature validation by Express222™ is automated and instantaneous. Notification of successfully signed and validated orders are sent immediately to both buyers and suppliers. Specific queries and automated reports designed to accommodate audit requests. These automated reports and queries will eliminate the burden and frustration of trying to find filed 222 forms or searching through spreadsheets of information. Express222™ provides suppliers and buyers with 24/7 access to their CSOS order, shipment, and receiving information. Express222™ is compatible with SHA-1 and SHA-2 security encryption. When we expanded our role as a partner in compliance with License Verify™, we were determined to help our clients feel confident in their license verification processes. For this reason, our service not only offers license verification through a user interface, providing all available data on demand with record-level and file-level audit trail reporting, we developed optional APIs to integrate data elements to a client’s internal systems and procedures, creating a fully automated process for verifying license data.